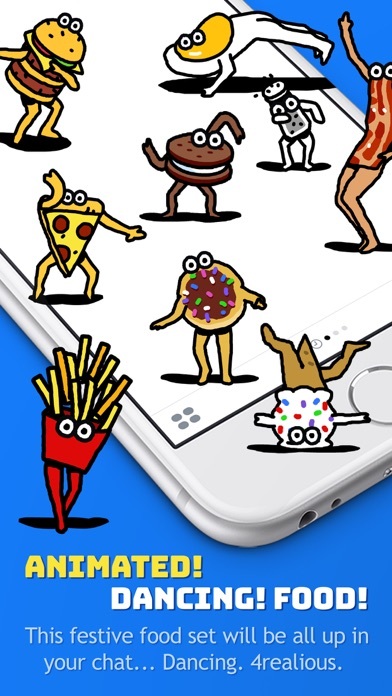 Say more in your iMessages with this funny animated sticker pack! Express yourself with T Rex designs that you can place anywhere in iMessages. Layer dinosaurs to have a prehistoric party. 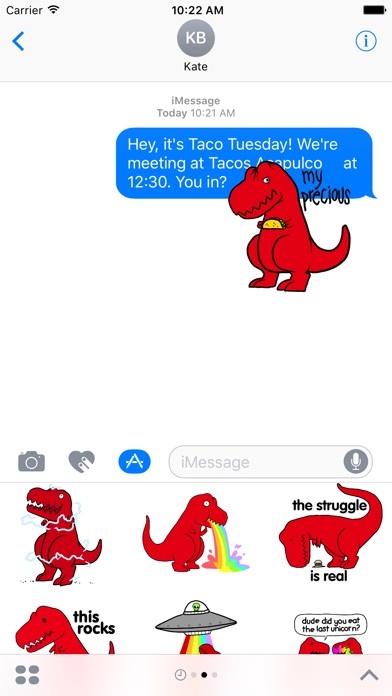 From the makers of 'Sad T Rex' t-shirts & accessories, the Dino Sticker pack makes iMessages even more fun! • ENJOY being so awesome! 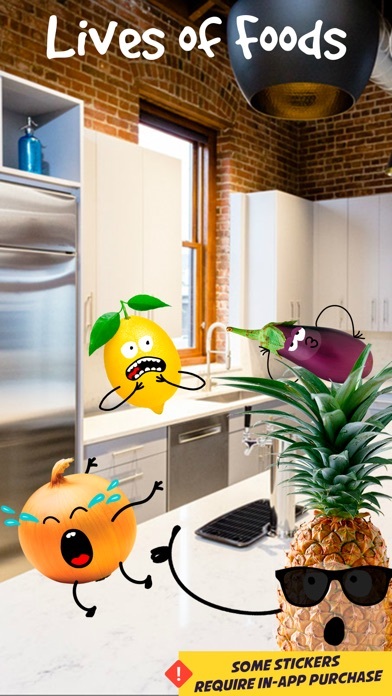 - Share the fun with your friends! Following the High Standards of Goodie Two Sleeves, these Dino Stickers are epic in Prehistoric Proportions. 10% of sales go to saving endangered T-Rex's. Support art. Support carnivores! ...and that's a good thing! 👍🏼 Very fun.